If you’re like many Coeur d’Alene homeowners, there’s a good chance you’ve been using a furnace for your winter heating needs. This is, after all, the most common type of residential heating system across the nation. This also means, of course, that our team sees a lot of them and is pro at repairing and servicing furnaces. Our prompt repair team will get your malfunctioning heater back in good working order. Of course, this means you’d have to know you have repair needs to begin with, and some furnace repair issues can be tricky to spot at first. 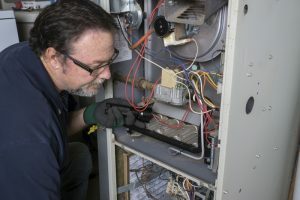 We’re here to help you detect these problems early on so that our team can get to you ASAP before the problem grows worse and you’re stuck with a completely broken down heater when you need it the most. Read on for a list of warning signs, and if you notice any of these, give us a call! We can’t go any further without first mentioning the benefit of preventive heating maintenance—it is essential to prolonging the lifespan of your furnace, lowering your heating bills, and possibly preventing repair needs altogether. Keep reading for our tips on how to prevent your furnace from breaking down or performing poorly. Posted in Heating | Comments Off on Can Furnace Repairs Be Prevented? With temperatures now down to the 50’s during the day, there is definitely no denying that fall is here and winter is well on its way. As such, you’re very likely beginning to use your furnace on a regular basis. As you begin to use your furnace, pay attention to the noises that it is making. True, all furnaces make noise, but there are some sounds that are not related to the normal operation of your heating system—and you should heed warning. When odd sounds come from your furnace, they are typically the early signs of developing problems within the system. These issues can lead to expensive repairs or even premature system breakdown, which nobody wants—particularly in the dead of winter. So as our weather gets colder, pay attention to your furnace and give our repair professionals a call if you notice any of the following furnace noises. Posted in Heating | Comments Off on Don’t Ignore These Furnace Noises! 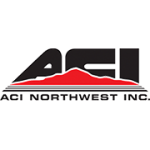 Pricing a furnace for new installation or replacement can be difficult, since furnaces come in so many different sizes and efficiency ratings. If you’re in a hurry to find a new heating system, you may look for the smallest system, since it costs less to purchase, or you may decide to buy the largest in hopes that it will be most effective. But this can cause major trouble for your system and your heating bills, which is why it’s so important to work with a trained professional. A Question from Valley Ford: Why is My Furnace Turning On and Off? One of the most annoying things your furnace can do is to constantly keep turning on and off. This on-off cycling keeps your Valley Ford home from heating up properly. This action – called short cycling – also requires more electricity and drives up utility bills. Short cycling is caused by an overheated furnace, which triggers safety mechanisms and shuts down the furnace. After a brief interval and cooling down, the furnace starts up again the cycle keeps repeating itself. Not only is it an annoyance, it can also signal more serious problems. A leaking heat exchanger can cause a furnace to overheat – and produce deadly carbon monoxide gas. If a furnace is working too hard and overheating, it is usually because of airflow in and out. Your home’s ventilation system needs to be clear of dirt, dust, and debris. The more blockage in your ductwork and vents, the more friction is created, slowing down airflow and ultimately ending with an overworked furnace that continues to cycle on and off. And a blocked exhaust vent, such as a chimney or dedicated exhaust vent, can also cause a furnace to work harder. Check for things like leaves or bird’s nests. The blockage may also be coming from a clogged furnace filter. You should clean or replace your furnace filter after a visual inspection reveals any type of build-up of dust or dirt. Do this at least every three-six months. If you have a two-speed fan on your furnace, it is recommended that you run the fan in low speed during the cold months and high speed in the warm months. The reason? Warm air is lighter and takes less force to move. There are other measures to take to prevent short cycling but these usually require a professional heating and cooling service technician to correct the problem. 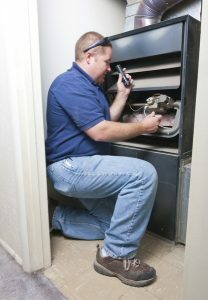 If in doubt, call your local heating and cooling contractor and schedule a furnace inspection. Don’t make your furnace work any harder than it was designed for – and keep your home’s occupants comfortable and safe. Posted in Services | Comments Off on A Question from Valley Ford: Why is My Furnace Turning On and Off? There are several reasons that a furnace fan might stop working at one point or another. While many of these do require an Elk professional’s attention, there are probably some things you can check on your own before you go and call in the pros. After all, if you can address the problem on your own, it will at least save you from having to pay a technician to come out. The first thing to check when your furnace is running but the fan isn’t turning is whether or not the fan is actually switched on. Certain models of furnaces have a separate switch to turn the fan on and off. While there is probably no reason that you would want to turn off the fan by itself, it’s worth taking a look just in case. If that really is the problem, you’ll be up and running and back to dealing with better things in no time. If that’s not the problem, you might try looking to see if any wires leading to the fan are loose or the fuse is blown. If the fan has no power, of course, it won’t be able to work but the rest of the furnace likely would work just fine as long as it doesn’t run on electricity as well. Of course, the problem very well may be beyond your power to solve on your own. Don’t despair though. Even though you need to call in a professional, that doesn’t mean that the problem will be expensive to fix. In fact, it may be as simple as replacing your thermostat or the motor for the fan itself. Just because a fan isn’t working doesn’t mean that you’re going to be paying an arm and a leg to have work done on your furnace. If you can’t easily discover the problem on your own, however, or if you’re not comfortable inspecting this type of equipment at all, you’re generally better off just calling in an expert and letting them do the dirty work for you. Paying for simple furnace fan repairs is definitely preferable to having to pay someone to fix the fan and the stuff you broke yourself while trying to fix the fan on your own.